I have been a wedding minister in Los Angeles for many years and I have performed many civil wedding ceremonies and religious wedding ceremonies in many Orange County Wedding Locations. I have very much enjoyed the weddings I have officiated at the Center Club. Center Club provides a beautiful wedding rehearsal dinner, wedding ceremony, and reception location in Orange County. They offer an outdoor wedding ceremony area with a lovely water and sculpture garden as a backdrop. This wedding venue is well known for fine cuisine and world class service. The elegant silver and crystal table settings and vintage wines complete an impeccable dining experience. Tuxedo clad butlers provide award winning service. 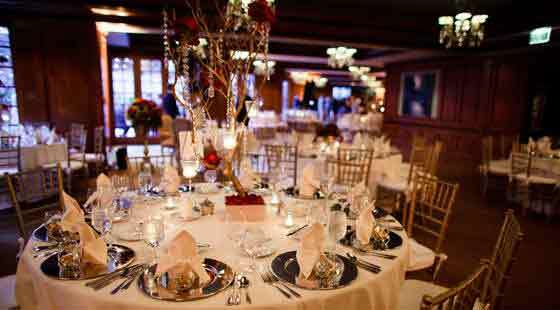 Wedding receptions take on an air of sophistication as each guest receives the highest degree of attention. 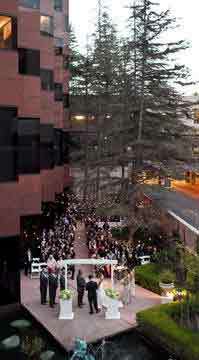 Center Club truly stands out among wedding locations in Orange County. Their offer elegant and sophisticated surroundings and unsurpassed service. The award-winning chef and culinary team will help you create a perfect and unforgettable Orange County wedding day. Their professional staff will be pleased to help in any way we can throughout the entire planning process. If you are thinking of having your wedding ceremony or reception at Center Club or anywhere in Los Angeles County or Orange County California then consider having this wedding minister, the Officiant Guy, be your wedding officiant.